Ghanaian singer Danso Abiam has boldly declared that he will be crowned the VGMA artiste of the year come 2020. He made this ambitious claim when he took his turn on showbiz agenda on Zylofon FM on Thursday, 11th April, 2019. 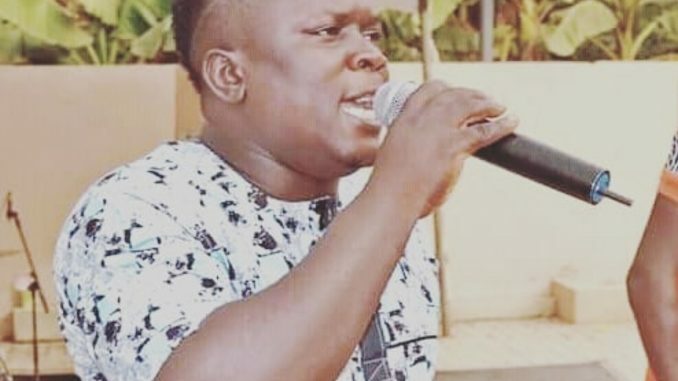 Danso said though he knew there is a better part of the year ahead of us, he foresees that his upcoming works will make him the undisputed King of Ghanaian music when the post mortem of 2019/2020 music season is being done. The “Ghanaian Lady” hitmaker who has somewhat been on the fringes of the music scene for sometime after his back to back hits of “Ghanaian Lady” and “Farmer” is enjoying some renaissance in the industry and this according to him owes much to a rekindling of his “anointing” and change of management. He disclosed that he will be signing a contract with his new label, Cashberry entertainment very soon. Danso is out with a new single he calls “Ebi wo wo Fie” a song which features rapper Donzy and he believes this new one will also win record of the year in the 2020 edition of the VGMAs.